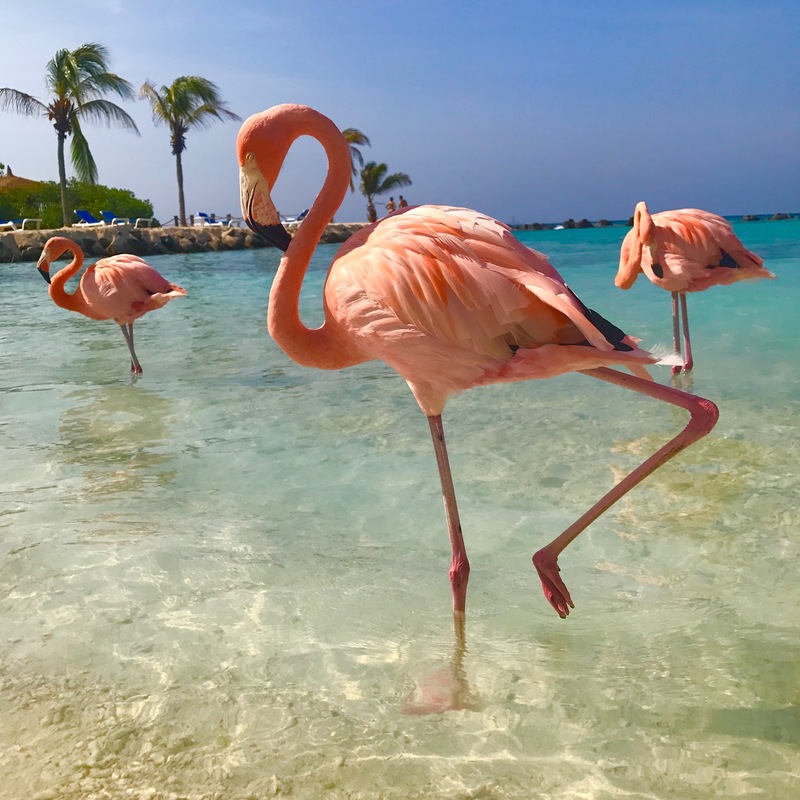 Tucked away off the coast of mainland Aruba is a quaint, private island owned by the Renaissance Hotel called -- you guessed it -- Renaissance Island. On the artificial, 40-acre property, you can find all the typical features you'd expect of a natural Caribbean beach, such as crystal clear blue water, silky white sand and hammocks swaying between lush palm trees. 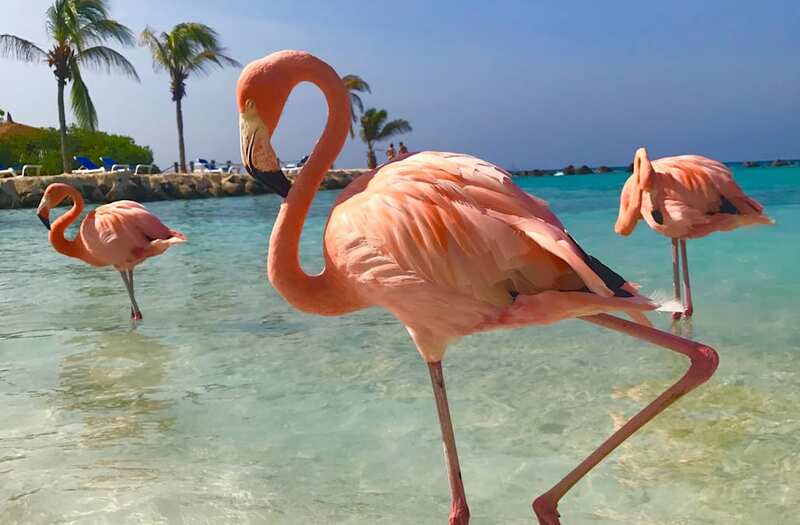 But most notably, the private island is home to Flamingo Beach, where visitors have the privilege of frolicking freely with the six famous flamingos who call the island home. Renaissance Island is an 8-minute water taxi ride away from its namesake hotel, located in the heart of the bustling downtown Oranjestad -- however, it's impressive amenities prove that it is anything but remote. Once you've arrived on the secluded territory, you'll be able to snack on gourmet food at the Papagayo Bar & Grill, sip on fruity, tropical drinks at the beach bar and even enjoy relaxing treatments at the private spa. But once you've spotted the island's main attraction, it becomes difficult to divert your attention anywhere else. Hotel guests are given complimentary access to the island, but non-guests who wish to visit the beautiful birds need not fret -- a limited number of day passes become available each morning at 8 A.M., and retail for $99 each, which includes lunch and one drink. 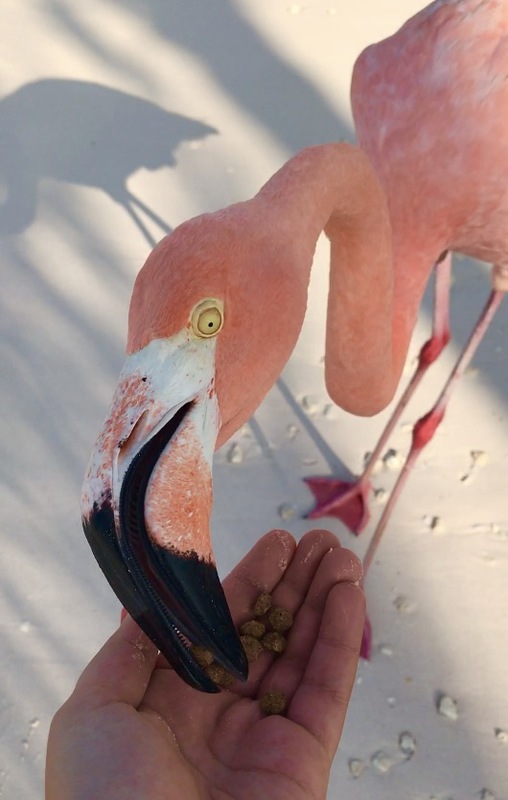 Though they sell out fast and cost a pretty penny, once you have a flamingo eating literally out of the palm of your hand, the schlep suddenly becomes worth it.